A Wedding Day is one of the most important days of a couple's life and the first dance is a very special moment. Have you thought about that first dance that you have to do by tradition as man and wife?. Have you thought how embarrassing it can be when you have to take the floor and everyone is staring at you?. With all the effort you have put into your big day, a choreographed dance would be the icing on the cake!. Let us take that embarrassment away for you. Surprise yourself and feel at ease and confident. Give your friends and family a surprise by not doing the usual shuffle of two left feet. Pick a piece of your favourite music and we will do the rest. We can make any dance fit any piece of music of your choice, slow or up beat, traditional or modern!. Why not do something different for your Wedding Day? Book Tuition for your Bridesmaids, Best Man, Ushers, Stags and Hens, and surprise your guests with a Choreographed Routine! "My wife and i booked classes in the summer of 2014. 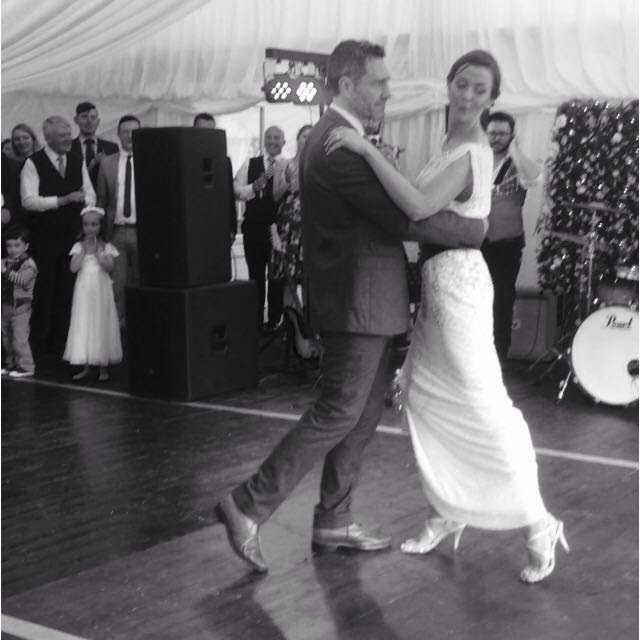 We had Wedding Dance Tuition with Mark Keenan in preparation for your first dance. I was very nervous at the thought of having to dance a traditional dance in front of all our friends and family (i have 2 left feet!). We decided to look into having a couple of dance lessons to keep me from standing on her toes and to avoid vaguely rotating in the centre of a dance floor while all eyes are on us! Before our lessons, my wife to be, decided to double my nervousness and increase my fear, when she told me that she wanted to go with a modern 'surprise' first dance. We chose Amanda Nicole School for our wedding dance lessons and we cannot thank your company enough - Mark is an excellent teacher! we thoroughly enjoyed our lessons and had immense fun learning the moves! Although we had no experience in dance whatsoever, Mark took this into consideration and choreographed an amazing routine that even we were able to perform with practice and hard work. He also mixed all of the music and sound effects for us as well! When we performed the dance, our guests were stunned and we got the exact surprise effect we were looking for. We highly recommend this company, you have outstanding teachers, an absolute must for any first dance! I have finally uploaded our first dance video to Youtube!" 'We would definitely recommend dance lessons for your wedding. The dance lessons we had were very enjoyable, with an excellent teacher Sue. It was well organised and the teaching was very professional, with original dance moves. The routines were personally planned for us and took into account our experience and skill level, we enjoyed the classes alot. It has made us more interested in dancing in general, a very enjoyable experience. A must for your first dance, to give all your guests a lovely surprise!'. 'WOW what more can I say! we went to Amanda with what we thought would be impossible to create, being two people with two left feet! She was extremely helpful in guiding us through our idea before she then arranged for the teacher to give us a call. Sue was extremely patient with us and not only choreographed a beautiful routine she turned us into Dancers. Truly AMAZING!' Our guests were in total disbelief!. 'We thought that the idea in our heads would be too hard for the teacher to translate into choreography, boy were we wrong! he patiently turned us into performers and he also mixed the music from scratch! Highly recommend this company, fantastic teacher, truly outstanding! '. 'After having Wedding lessons in numerous places all over the region and rapidly running out of time we thought we were fighting a loosing battle. No one we went to for lessons seemed to understand what we wanted and no one could create the kind of routine we so desperately wanted to have to surprise our guests. We came here with not much hope at all (ashamedly) but what we actually got was totally and utterly beyond our expectations. We wanted a routine that contained a section of traditional wedding dance, but we also wanted to then shock our guests by going into a massive high energy fun section. plus the funky, fun, skilled section that had our guests in fits of laughter! they are still talking about it now 2 months later! We can't thank you guys enough and through this we took up classes here, have found our love of dancing and absolutely love it! Thank you so much! '. "Just want to say a big thank you to Sue, she was brilliant!. 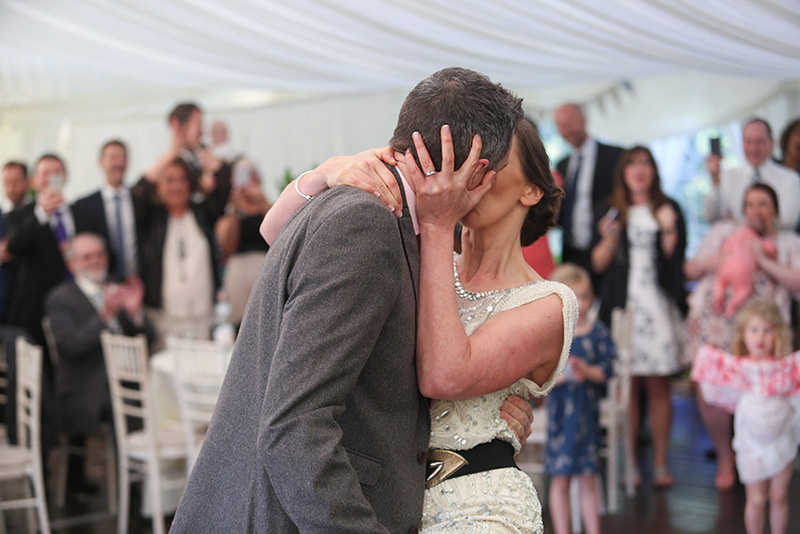 We performed our surprise wedding dance to Avicii's Addicted to You and it went down a storm! our guests were bowled over and said it was the best wedding dance they'd seen. We didn't execute it perfectly, but it certainly had passion!. Sue was so patient with us, especially as Barry didn't even know how to transfer his weight from one foot to the other, she performed a miracle there! 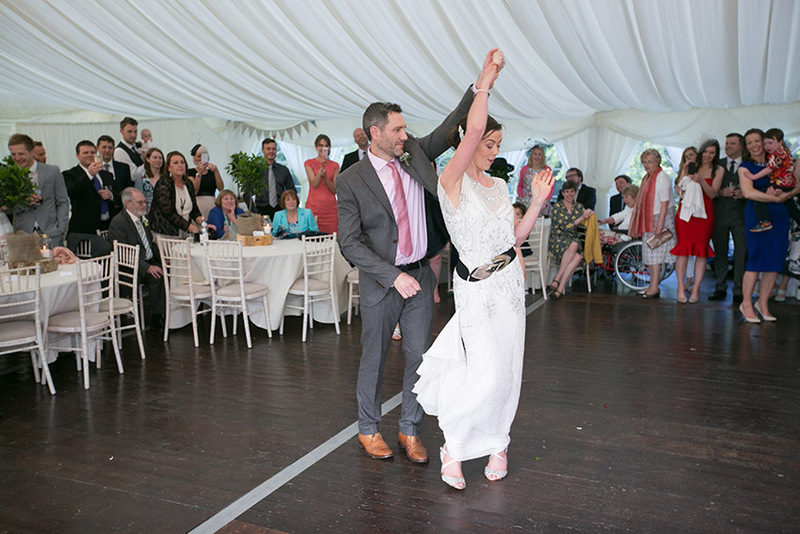 It was lovely to be able to dance together being cheered on by all our family and friends and it got the party started!"